Imagine how great it would be to warm up your vehicle on a cold winter’s day from the comfort of your home or office. Equipping your vehicle with a remote start feature, you will be able to climb into a car that is already warmed out of a deep freeze or chilled from the summer’s searing heat. As the name implies, these systems allow you to remotely start your vehicle. 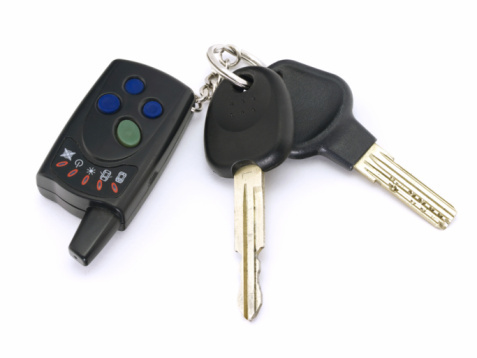 Basic solutions are one-way, meaning that you press a “Start” button on a keyfob with no confirmation that the vehicle started or is running. These inexpensive “basic” remote start solutions also have limited, often line-of-sight, range. Step up to full-featured two-way remote system and your car will update you on its status right on your smartphone or key fob. This is a great way to “check in” with your car while you're in a movie theater, restaurant or your office. Today’s two-way remote start systems confirm whether or not the vehicle started, the doors locked or the system was triggered. View your vehicle’s status remotely and never again worry about walking out to an unlocked or unarmed vehicle. 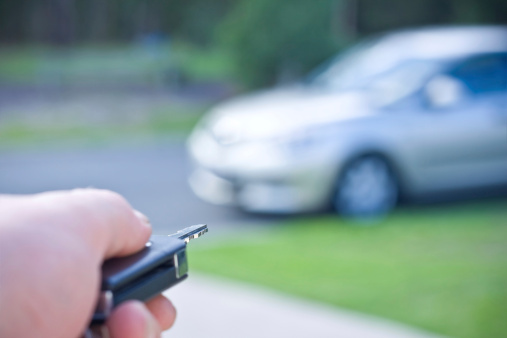 Several aftermarket remote start and vehicle security products offer smartphone-based control over your vehicle’s security and remote start features.This includes the ability to remotely start and monitor your vehicle over your phone’s 3G or 4G network connection. With custom settings you can set your system to automatically start your car at a preset time or under certain weather conditions. Smartphone integration generally requires a monthly service fee, though using a wireless data connection rather than a line-of-sight transceiver means you can monitor your vehicle, lock or unlock your doors and start your vehicle from pretty much anywhere. Your installer can add a trunk-release module, allowing you to “pop” your trunk by remote control. This is handy when you’re approaching your car with your hands full. Furthermore, if you have a vehicle with a power rear liftgate or power sliding doors, your installer can easily integrate these functions for remote operation as well. Why would you want to be able to remotely control your windows and sunroof? When approaching your car on a warm day, you can roll all of your windows down and open your sunroof with a single button press so there’s fresh air in the cabin to greet you. When exiting your car, you can simply press a single button as you walk away to close everything up, rather than sit with the key in the ignition as you wait for windows to close. Your vehicle may not have power locks, or may only have a powered driver’s door lock. The good news is that your installer can easily add remote power locks that integrate with your security system and remote keyfob. Professional, certified installers can customize a remote-start system to your exact needs. Be sure to select an MECP certified technician to plan, install and setup your aftermarket security or remote-start system.